Who doesn’t want the relationship that has a wonderful friendship base, tackles gridlocked and perpetual conflict with ease and humor, and a shared meaning system that inspires the best in oneself? In the late 1970’s and early 1980’s, two pioneers in marital research on far ends of this continent were quietly gathering data on how to create happy lasting relationships. 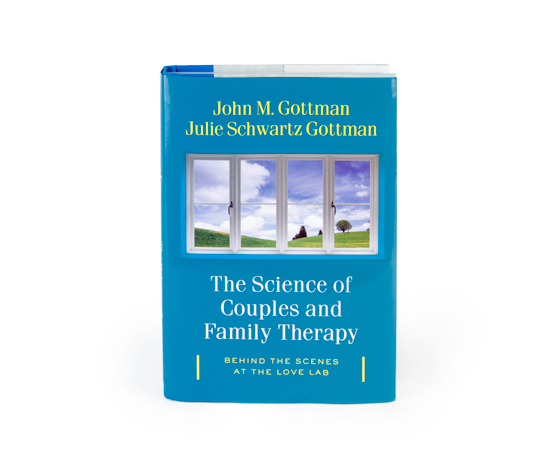 Dr. John Gottman and Dr. Susan Johnson’s work was initially known mostly among academic circles because, in the clinical arena, clinicians were still afraid of doing couples therapy. 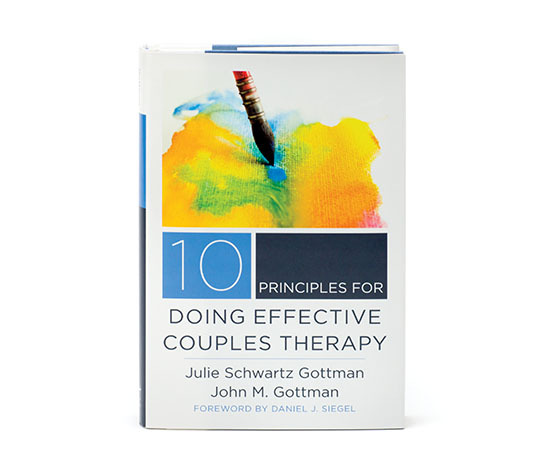 Gottman and Johnson’s research brought an unprecedented empirical foundation to what was often considered chaotic, unpredictable, and thankless couples therapy work. 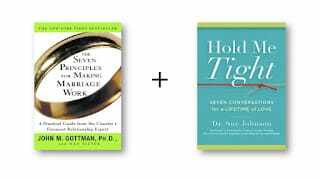 Today, Gottman and Johnson are considered two of the most influential figures in couples therapy, not just for academics but for clinicians as well. The philosophical and technical differences between their approaches to relationship research and therapy have generated separate and passionate followers. Both researchers have developed unique models of loving and successful adult relationships, but from different points of view and different sets of data. As Johnson noted about Gottman’s research, “What I loved about it was that it stayed close to the data. It stayed close to the reality, the real reality.” Gottman gave us a science of healthy relationships from systematic longitudinal and observational research on couples not in therapy. He focused on both couples in distress (the Disasters of Relationships) as well as couples in lasting, satisfying relationships (the Masters of Relationships). Along with clinician Dr. Julie Gottman, John’s wife and co-creator of the Gottman Method, the Gottmans bring a relationship skill building and existential lens while Johnson is firmly grounded in Attachment Theory. There are also differences in their view of couples therapy and the role of the therapist. The Gottmans warn against therapists becoming indispensable to the couple and encourages them to coach couples to manage their own physiology, conflict, or intimacy system. Johnson, on the other hand, uses the therapist as a “secure base” and encourages them to build a secure container in which the anxiously or avoidantly attached partner can take the risk of expressing vulnerable feelings and needs. There may be other differences, but the exciting frontier is not in their uniqueness or differences but their growing confluence and the ability to integrate both approaches in a seamless couples therapy that can benefit both clinicians and couples. Here is some of the common ground I see in Gottman and Johnson that allows me to flexibly shift from a relationship building to an attachment-oriented therapist as the couple’s emotional system requires. When a couple enters therapy with me, I begin with the Gottman Method. The Sound Relationship House is a simple, practical, and aspirational model that every couple can understand and adopt with little resistance. Who doesn’t want the relationship that has a wonderful friendship base, tackles gridlocked and perpetual conflict with ease and humor, and a shared meaning system that inspires the best in oneself? The structured process of the Gottman assessment is reassuring, straightforward, and transparent. Couples appreciate being able to tell the story of their relationship, being heard separately and together, and being able to (sometimes in the late night glow of their private desktop light) fill out the surveys and conduct a private review of their relationship strengths and growth edges. The contracting process inspires hope as each strength is highlighted and celebrated and growth edges are reassuringly connected with specific skills they will learn within a reasonable period of time. Couples feel a sense of promise and relief as they walk away with their Sound Relationship House magnets and a map of the journey they are going to take with me. And then the real work begins! Both Gottman and Johnson recognize the necessity of an emotional focus and the powerful influence of attachment histories, styles, and internal working models in adult intimate relationships. I might be helping the couple replace their four horsemen with the appropriate antidotes, but a part of me is tracking their negative emotional cycle. I watch the compelling, absorbing nature of negative emotions (Gottman) and the unresolved hurts and wounds (Johnson) that get in the way of being able to engage in respectful, mutually honest, and vulnerable conversations. Then I offer one spouse the practical information about criticism and contempt as they struggle to understand how to express their frustration while I simultaneously hear, validate, and explore the attachment needs and emotions of the other partner who is crying out to be acknowledged and connected with. I have the relationship science and simple language of Gottman in my right hand and a more emotion-focused dynamic and interpersonal toolbox from Johnson in my left hand, and I weave both into the therapeutic process. 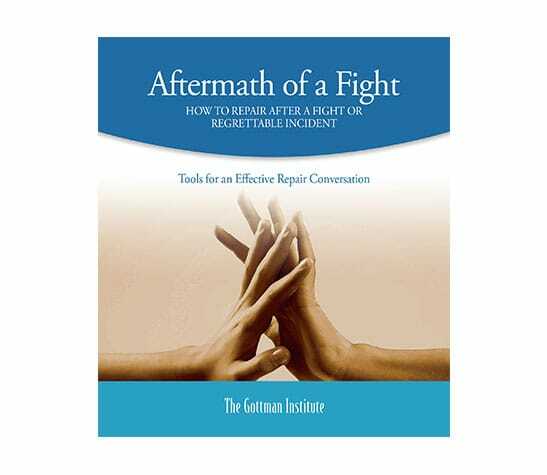 Similarly, I help couples process an argument with the Aftermath of a Regrettable Incident form and help them learn how to make their dialogues just a little bit better than the last time. At the same time, I look for the anatomy of the fight. Why was this particular argument more painful for the wife? Does her attachment history shed some light on her ability to let go of her anger? As they process the clearly laid out exercise and take the steps one at a time, the structure keeps the conversation safe and manageable while I use my skills as an attachment-oriented observer to help the withdrawn spouse re-engage a little bit, share some risky emotions, or I help the partner who is casting blame to soften their internal dialogue and reach out with tenderness. Sometimes the integration of Gottman and Johnson is more obvious as when I am working with bids and turning towards and helping a couple process failed bids. I know from both researchers that not all hurts are the same and that some emotional injuries can be traumatic when they trigger deeply held beliefs about the self, the other, and about intimate relationships. Gottman gives me the Sound Relationship House theory to help the couple see the connection between the emotional bank account and the weather of the relationship and how the friendship base downregulates negativity, increases positivity, and increases intimacy, romance, and connection. Johnson gives me the tools to repair a depleted emotional bank account, to take couples gently through the process of first acknowledging and then healing attachment injuries, and restoring the bond that once existed. I do have to confess that the Gottman Method is my first love. His hands rest lightly on my shoulders and he paints the relationship landscape for me in a way that fits smoothly with the way I work. Johnson’s methods draw me into the turbulent waters of primary emotions that require more effort from me in order to stay afloat. But I am hopeful that the future of couples therapy is in great hands. I am excited that Gottman and Johnson are in dialogue about their ideas and I hope we will all be part of this evolving conversation. Gottman, J.M. (2007). Marital Therapy: A research-based approach. Training manual for the Level I professional workshop for clinicians. Seattle, WA: The Gottman Institute. Johnson, S. (2008). Hold Me Tight: Seven conversations for a lifetime of love. New York: Little Brown and Company. Meunier, V. and Baker, W. (2012). Positive Couple Relationships: The evidence for long lasting relationship satisfaction and happiness. In Roffey, S. (Ed.) Positive Relationships: Evidence-based practice across the world. Sydney, Australia: Springer Publications. Young, M.A. (2005). Creating a Confluence: An Interview With Susan Johnson and John Gottman. The Family Journal, 13(2), 219-225. Vagdevi Meunier, Psy.D. is a licensed clinical psychologist and Associate Professor at St. Edwards University in Austin, Texas. Vagdevi has over 25 years of experience as a therapist, consultant, and educator. She has also been a certified Gottman Couples Therapist and a certified Gottman Workshop Leader since 2006. She offers the Art & Science of Love Workshop for couples twice a year in Austin and has presented clinical trainings in the US, Canada, and India.